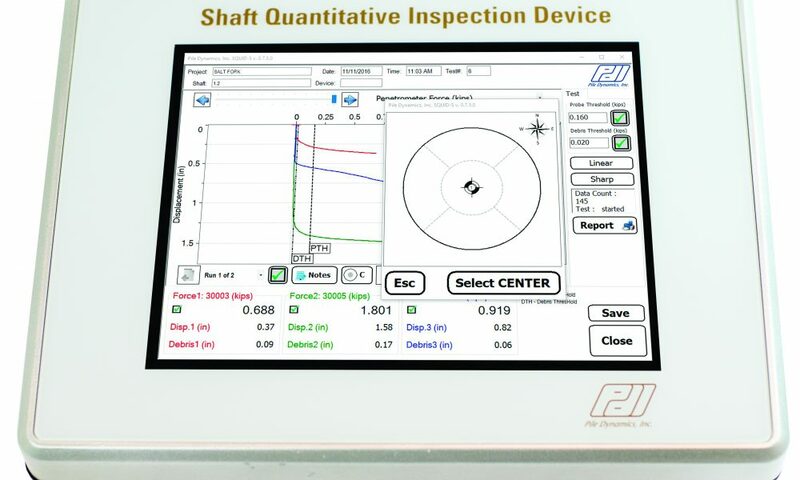 The Shaft Quantitative Inspection Device (SQUID) system is a new technology for quantitatively assessing the quality of the bottom surface of a bored pile or drilled shaft. 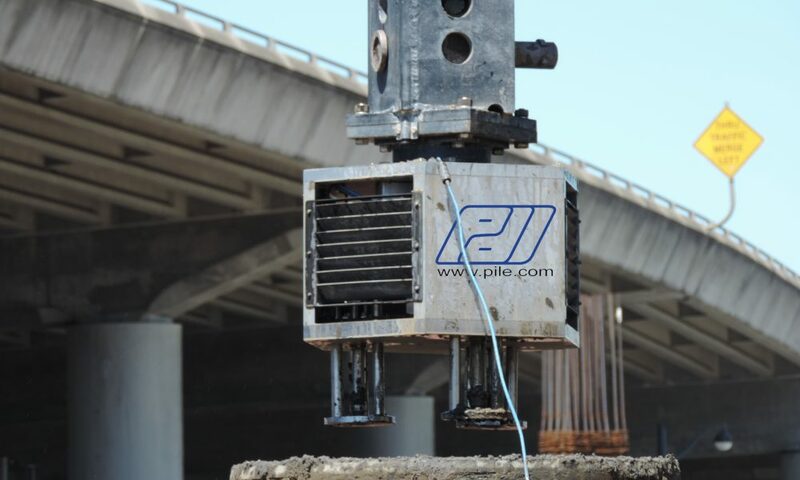 It measures both the thickness of soft material or debris that may be covering the bearing strata, providing a force and displacement in numerical and graphical form. 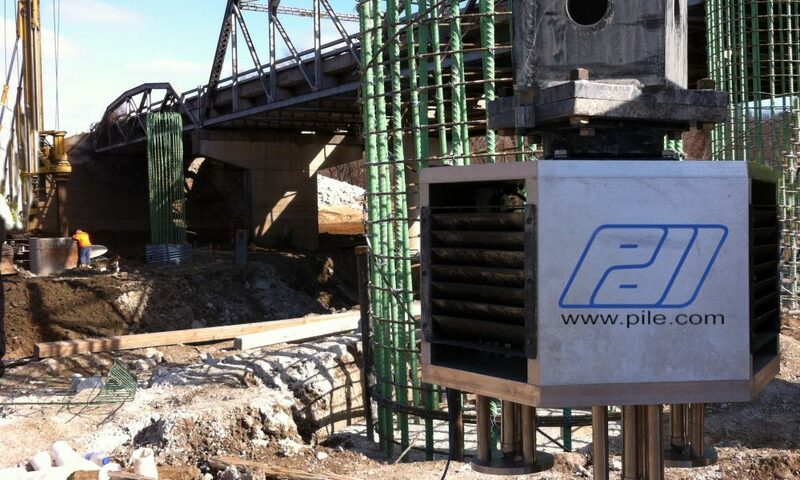 An important part of bored pile construction is the cleaning and inspection of the bottom of the hole prior to the placement of reinforcement and concrete. To achieve cleaning once drilling is complete, a cleanout bucket is typically used to remove any material unsuitable for end bearing support. 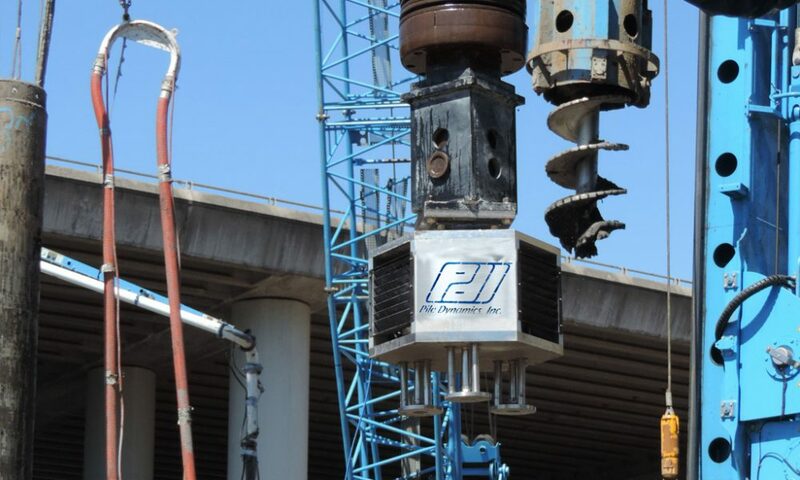 Bottom inspection is then performed, often by lowering a camera down the bore hole, a procedure that gives a rough idea of the thickness of any debris left at the bottom. 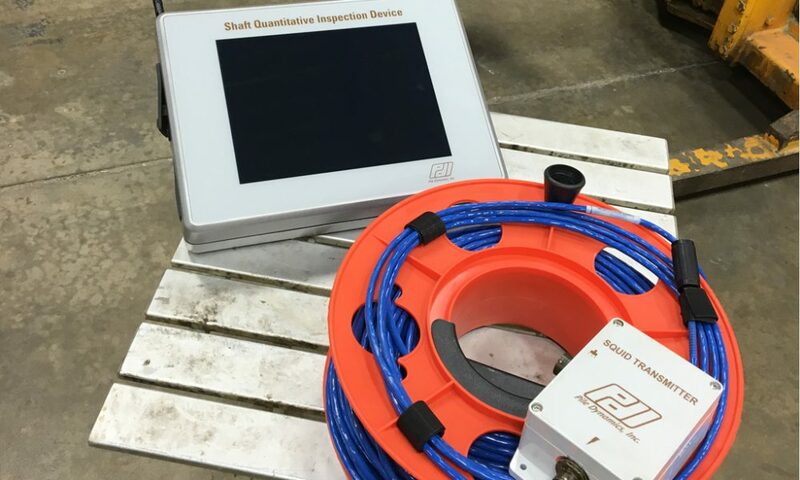 To improve the inspection method, SQUID takes accurate displacement and penetrometer measurements, providing an objective, quantitative assessment. 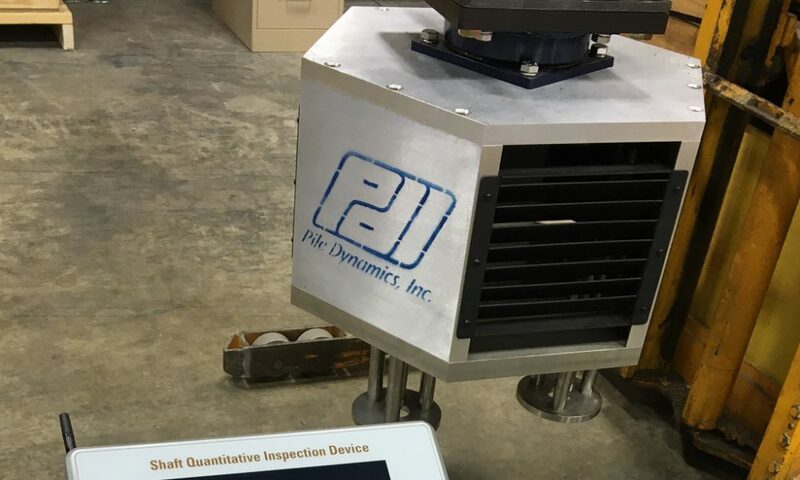 The system includes: the SQUID Body, with a drill stem adaptor, typically three contact plates, instrumented cone penetrometers and displacement transducers; a cable reel; a wireless transmitter; and the SQUID Tablet. The penetrometers have standard 10 cm2 tip area. The penetrometer pressure is measured by resistance strain gages arranged in a Wheatstone bridge.